J.RUSTEN FURNITURE STUDIO - FAQ: How did you get started in this? 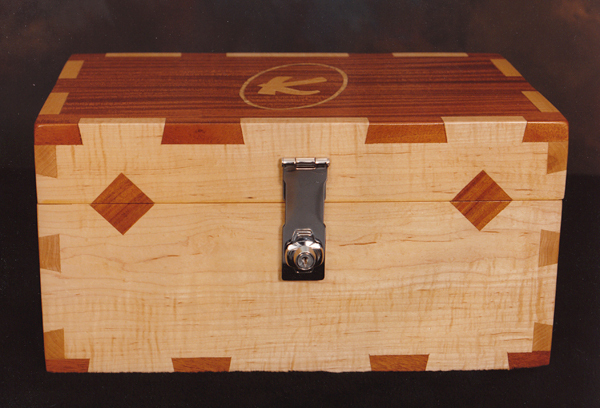 Why woodworking? FAQ: How did you get started in this? 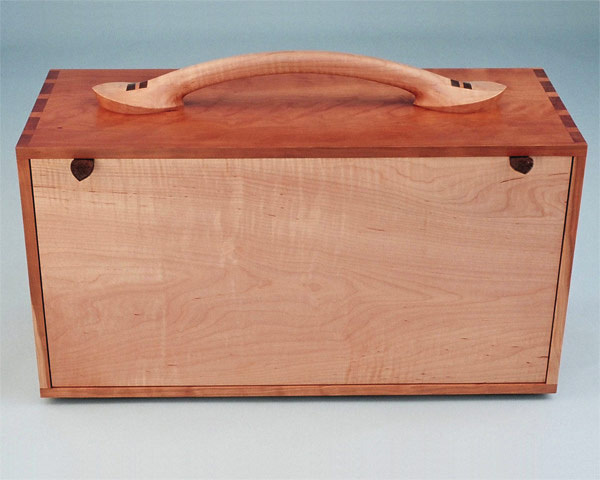 Why woodworking? I’ve had a creative urge or maybe more correctly – an ache, for as long as my memory has a recording. As a kid, every weekend presented an opportunity to tackle some grand project. Skateboard ramps were some of these first wood-related undertakings. I was fascinated with framing, and how a rigid structure could be achieved using only thin skeletal elements and a skin of plywood. I filled many graph paper tablets with half-pipe designs over my 4th, 5th, and 6th grades. After that point, the focus of my creative endeavor was usually in pursuit of capturing the attention of some girl, and I exhausted all of the mediums at hand. I tried not to repeat any. For example, if I gave a painting to one girl, I’d have to give an embroidered pillowcase to another. I was 20 years old when I ran out of obvious ideas. Christmas was approaching and I wanted to do something elaborate for a girl I had been dating. Without any former exposure to woodworking (outside of ramp carpentry), I decided to build this girl a finely made wooden box to keep trinkets and letters in. I consumed the local library’s woodworking volumes, talked to all the grandpas in the neighborhood, and finally paid attention to the Sunday afternoon woodworking shows on PBS. I toured Southern Lumber in San Jose (an amateur-friendly indoor lumberyard with an incredible inventory of pre-milled exotic woods), agonizing over individual boards, finally settling on some figured maple and mahogany. And, having no other tools of significance or quality at home, I bought a single chisel, a dovetail saw, and two clamps. For the next month, I spent nearly all of my free time on the construction of this box. In fact, the object of this effort was beginning to feel frustrated and suspicious because I was always ‘busy’ when she wanted to hang out. Christmas Eve was spent applying coats of finish at 3 and 4 hour intervals throughout the night, and the box was finally delivered at around 10pm on Christmas Day. I suppose it was portentous that when it came time to leave that night, I felt more conflict in separating from the box than the girl. Anyway, that was the project that hooked me. I still love playing music, producing drawings, paintings, and other two-dimensional works, but I’m most satisfied in making a thing that is composed of wood -this gorgeous organic material that is strong, enduring, reflective, and can be joined to form a functional object -a thing that is used, admired, and rendered more valuable with the character of it’s age and history of service. I didn’t consider woodworking could be a profession until after I suffered through a few years of jobs and aimless college courses. I spent a few months working in cabinetry shops in order to have machinery access, and in 2001 when I was 25, I determined that I would be a furniture-maker. Of course, I didn’t really know what that meant at the time or what it might take (or cost). 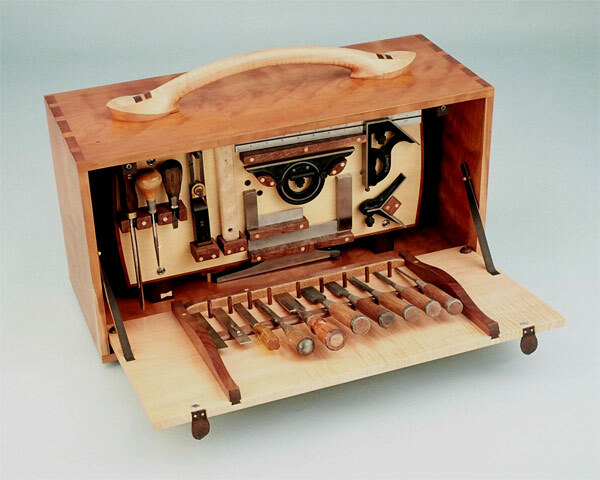 I first made a careful study of all the universities, colleges, and art academies along the western states that had any kind of woodworking program. I toured shops, interviewed students and faculty, and finally settled on attending Cerritos College -a humble community college with a startlingly large and vital woodworking program. I took classes there for just two semesters while also joining The Woodworkers Guild of Southern California. 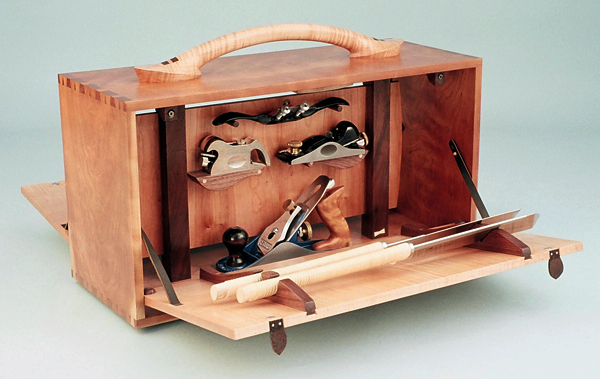 At the time, the WGSC was a collection of 30 or so professional woodworkers from around the L.A. area -mostly one-man shops. Up to that point, I had only produced one or two legitimate pieces of ‘woodworking’, so I assume my enthusiasm and dedication to making it my own vocation qualified me for an associate membership. Through the guild I made a number of enduring friendships, and supported myself by working in various members’ shops. I might work Monday and Tuesday in Culver City, Wednesday and Thursday in Pasadena, and spend Friday in my 9′ x 21′ one-car garage workshop making lots of mistakes. After a time, I transitioned to working just 2-3 days a week for William Stranger who was a patient teacher and still a great friend (I talked so much, I don’t know how he endured me). William was generous in allowing me to witness aspects of a woodworker’s business reality: working with clients and designers, seeking economy in tools and materials purchasing, pricing labor, etc. This insight, and his trust in allowing me to take a few projects from start to finish gave me the confidence to move back to San Jose in 2003 to open a shop of my own. 2 Responses to FAQ: How did you get started in this? 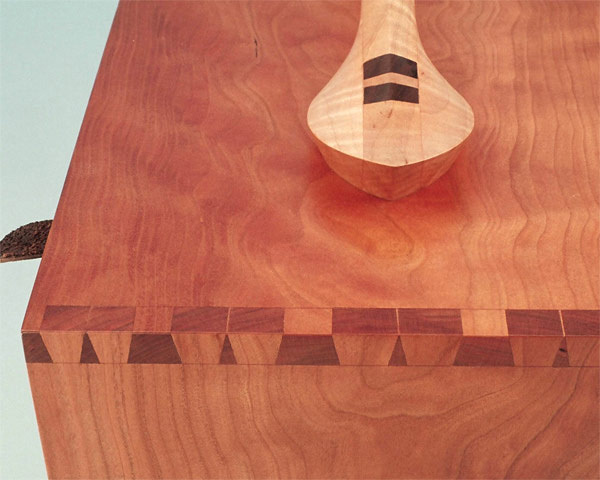 Why woodworking? Thank you so much for sharing, you have a lot to give. Came across this from a blog post about a crib in a closet — the stuff on your website is amazing. I liked your post going through the process and “gensis” of your passion for this….